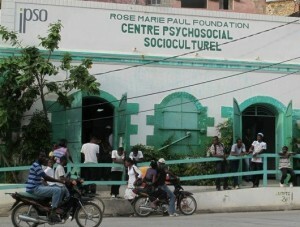 You are here: Home » News » Our centre in Jacmel needs your support! Our centre in Jacmel needs your support! Our community-based centre in the Carribean port town Jacmel in Haiti will be supported by you! The centre has been established and currently offeres socio-cultural activities such as music, dance, theatre, and painting, as well as intergenerational dialogue, psychosocial services through support groups and individual psychosocial counselling.